Sign Up for 1 year contract and enjoy our Special discounted rate! PROMO ! 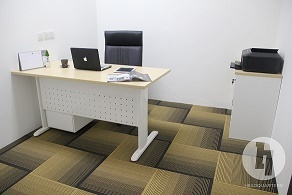 Monthly Fees: - Standard Suite for 1 pax: RM600 / month - Standard Suite for 2 pax: RM 800 / month - Standard Suite for 3 pax: RM 1,250 / month Facilities & Services Included: - Office Desk - High back executive chair - Low cabinet & mobile pedestal - Access to Meeting room at Johor Bahru or Petaling Jaya Branches - Access to Day Office at Johor Bahru or Petaling Jaya Branches - 24-hour access - Prestigious Address - Private office suite - Air-Conditioned Room - Receive Mail & Parcels on your behalf - Wireless High Speed Internet Connection (Unifi) - Free coffee, English and Chinese tea, drinking water - Receptionist to handle all incoming call - 24hours CCTV security surveillance Nearby / Places of Interest: - 5 minutes walking distance to Paradigm Mall - Aerobus services from Paradigm Mall to KLIA & KLIA2 - Public transportation to Kelana Jaya LRT - 5 to 10 minutes drive to Kelana Jaya LRT or Taman Bahagia LRT - 20 to 25 minutes drive to Sultan Abdul Aziz Shah Airport (Subang Airport) - 40 to 45 minutes drive to KLIA or KLIA2 - Easy access via Lebuhraya Damansara Puchong Highway (LDP) and the Lebuhraya Lembah Klang (NKVE) highway. - 24-hour fitness center Location: Zenith Corporate Park, Klang Valley Others: - Business Address - RM420/year - Meeting Facilities - Standard Hour (4 credits/hour) or Privilege Hour (6 credits/hour) - Dedicated Phone / Fax Line - RM60+/month - Day office - Standard Hour (1 credit/hour) or Privilege Day (12 credits/day) Visit www.headquarters.my for latest pricing and more information. For viewing, kindly contact Willy Wong at +6010-2605640 and bring along your business card. Thank you. 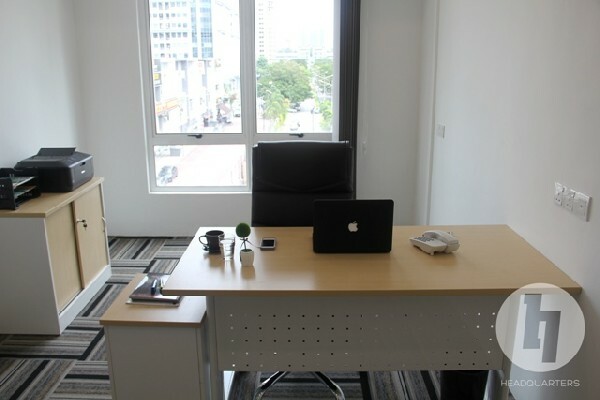 Own a PRIVATE office suite or serviced office from RM650 at Petaling Jaya / Kelana Jaya Sign Up for 1 year contract and enjoy our Special discounted rate ! PROMO ! Monthly Fees: - Standard Suite for 1 pax: RM650 / month (Actual Price: RM850) - Standard Suite for 3 pax: RM 1,250 / month (Actual Price: RM1,650) - Signature Suite for 2 pax: RM1,350 / month (Actual Price: RM1,650) **Signature Suite - Enjoyed sunlight from the window, Upgraded high back executive chair, Tall cabinet, Wallpaper decoration with wall clock, Bigger floor space Facilities & Services Included: - Office Desk - High back executive chair - Low cabinet & mobile pedestal	- 5 hours monthly meeting room usage - 24-hour access - Prestigious Address - Private office suite	- Air-Conditioned Room - Receive Mail & Parcels on your behalf - Wireless High Speed Internet Connection (Unifi) - Free coffee, English and Chinese tea, drinking water - Receptionist to handle all incoming call - 24hours CCTV security surveillance Nearby / Places of Interest: - 5 minutes walking distance to Paradigm Mall - Aerobus services from Paradigm Mall to KLIA & KLIA2 - Public transportation to Kelana Jaya LRT - 5 to 10 minutes drive to Kelana Jaya LRT or Taman Bahagia LRT - 20 to 25 minutes drive to Sultan Abdul Aziz Shah Airport (Subang Airport) - 40 to 45 minutes drive to KLIA or KLIA2 - Easy access via Lebuhraya Damansara Puchong Highway (LDP) and the Lebuhraya Lembah Klang (NKVE) highway. - 24-hour fitness center Location: Zenith Corporate Park Others: - Virtual Office - RM420/year - Meeting Facilities - Standard Hour (4 credits/hour) or Privilege Hour (6 credits/hour) - Day office - Standard Hour (1 credit/hour) or Privilege Day (12 credits/day) Visit www.headquarters.my for latest pricing and more information. For viewing, kindly contact Willy Wong at +6010-2605640 and bring along your business card. Thank you. A prestigious business address alleviates the privacy and personal security concerns of running a home-based or freelance business. 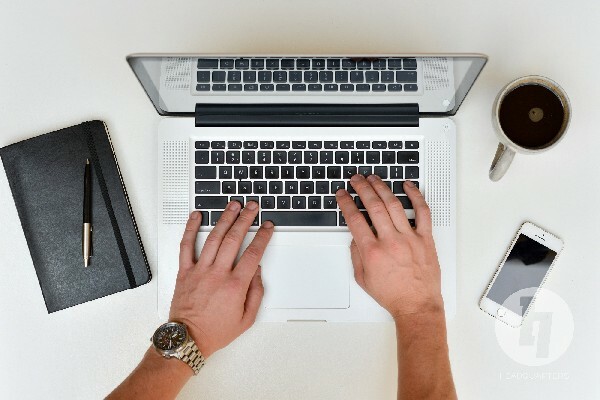 Advantages of Virtual Offices: - Work from anywhere, anytime. - Enjoy the flexibility, no leasing or long-term commitments required. - Impress your Clients or Prospects, establish your business at a prestigious address, not a P.O. Box. A virtual office space also gives you an access to a well decorated meeting room & reception areas. - Minimize your Office Equipment Expenses. Printer, scanner, e-fax, and etc are ready for pay per use. 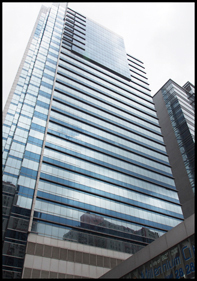 - Save a large amount of security deposits & up-front investments for office space and equipment. - Stay Competitive and adapt to your changing business demands. Basic Plan (RM420/year for new registration): - General Business Address for 1(one) Business/Company - Receiving Mail & Parcels on your behalf - Discounted rates for meeting facilities & day offices Flexi Add-On (+) - Business Address with Suite Number - RM120/year - Receiving Fax on your behalf (General Fax Line) - RM60/year - Additional 1(one) Business/Company with the same account - RM120/year - Monthly Mail Forwarding (within Peninsular Malaysia) - RM120/year - Monthly Mail Forwarding (to Sabah or Sarawak) - RM180/year - Others Additional Services such as Business Address with Suite Number, receiving Fax on your behalf and international mail forwarding do also available with our Flexi Add-on Plan. Check on http://headquarters.my/virtual.html Location: Zenith Corporate Park Others: Serviced Office - start from RM650/month Meeting Facilities - Standard Hour (4 credits/hour) or Privilege Hour (6 credits/hour) Day office - Standard Hour (1 credit/hour) or Privilege Day (12 credits/day) Visit www.headquarters.my for latest pricing and more information. For viewing, kindly contact Willy Wong at +6010- 2605640. Please bring along your business card. Thank you.